From Chapter three of my book. This was a few years before I started drinking on a regular basis and the beginnings of a false sense of ego that I used to feel better about myself for many more years to come. “I believe that having role models when we’re young can be of great benefit, depending on who those role models are and how they behave. I couldn’t count on either one of my parents to be a role model, but I ended up having two as a teenager that greatly influenced me. The first was a famous boxer named Muhammad Ali, the heavyweight boxing champion of the world. And the second was the uncle who was like a brother. Now, I realize there’s a big difference between these two people, but make no mistake about it, they both had a big influence on how I behaved as a teenager. Muhammad Ali was actually the reason I decided to start boxing. Not only was he famous and always the center of attention, but he was also very confident in himself, and people just seemed to love him. And at that point in my life, I wanted to be just like him. So much, in fact, that after deciding to be a boxer earlier that year, I found a local boxing gym to go to that opened in the fall and religiously worked out on my own all summer. I’d get up every morning at six o’clock to run, and in the afternoon, I’d throw punches at an army duffel bag I filled up with all kinds of stuff. It had been my dad’s from when he was in the army, and it was so heavy that he had to help me hang it on a large wooden beam that ran along the ceiling of our small, unfinished basement. I later added a speed bag, which I put up myself, and learned how to hit the small, fast-moving, pear-shaped bag without missing a beat. Finally, the local gym opened up, and I nervously went there, not knowing what to expect. I was fortunate that the person running the boxing program turned out to be a wonderful human being and knew how to deal with a fifteen-year-old like me. He encouraged me to work hard every day. He must have seen potential in me, because he introduced me to a person who had won a few different amateur titles when he was younger, and he became my new trainer. He liked Muhammad Ali too and didn’t seem to mind that I imitated Ali’s boxing style, which was to dance around the opponent, throwing quick jabs and right hands, and leaning away to avoid punches. I also boxed this way because I was afraid to get hit. Of course, when you only weigh 115 pounds and everyone you spar with is a lot heavier than you, getting hit can be scary. He knew this, though, and helped me hone my boxing skills and become more confident in my abilities. In only two months, I had my first amateur fight, and even though I was extremely nervous, I won the match. Though I was so skinny, I dreamed of someday weighing 160 pounds and becoming the middleweight champion of the world. And after I won that first fight, I started acting like Ali in school. I did this by bragging and writing poems and showing people how fast I was, throwing multiple punches in the air. And I loved the attention it gave me. It even helped me feel good about myself. But, deep down, I knew I didn’t really have the level of confidence I was displaying. I also didn’t believe I was someone important, and soon, I developed a false sense of ego to help me feel that way. This false ego not only helped me to pretend to be something I wasn’t, but it also enabled me to temporarily overlook the fears and insecurities I had. For instance, when I walked through the halls in school by myself. I often felt left out and alone as I watched other teenagers walking together, laughing and talking about stuff. It almost seemed as if I was in a foreign country and didn’t know how to speak the language. Naturally, I would try to talk to the other kids, but I simply didn’t have the social skills to carry on a serious conversation and often felt nervous. The only place I felt comfortable was in class, where I made everyone laugh, including the teachers. However, as I said, being a boxer made me feel good about myself, and I would continue improving. As a matter of fact, by April 1976, with only three more amateur bouts under my belt, the gym entered me and two other boxers in a Golden Gloves tournament. 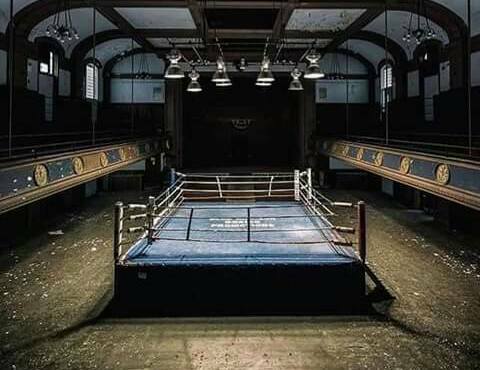 Our gym was only an hour and a half away from where it was being held, which was in Philadelphia, Pennsylvania, and boxers from other states would compete as well. I won my first fight fairly easily, beating a strong kid from Philadelphia, and because there weren’t many entries in the weight class I fought in, all I had to do was beat some guy from New Jersey to win the tournament. However, he was a lot tougher than my last opponent, and I was really nervous before the bout. I had seen him score a first-round knockout in his last fight, and my trainer knew he was a seasoned fighter. (I found out later that he had more than twice as many fights as me.) But because I was in tremendous shape and didn’t want to lose, I beat him by a close decision and was declared the 112-pound Mid-Atlantic AAU Golden Gloves Champion. I had my picture in both the school and local newspapers, and all the attention I got me made me feel better than any drug I had ever taken. However, like a drug, the high I felt didn’t last. School ended in June, and so did the attention. But even though the gym was closed for the summer, I was able to combat the sadness I had initially felt by having fun with my uncle again. I had actually spent some time with him the summer before, but unlike that one, I hardly worked out over this next summer, and when the gym opened back up, I was really out of shape. As a result, I didn’t do so well sparring with fighters I had had no trouble with before, and it immediately shook my confidence. I at least tried to get into better shape, but something in me had changed that first week back, and my heart was no longer in it. I decided to quit boxing. I’m wishing everyone a Happy New Year. And a sober one should help ensure that. When I look back over my 21 and a half years of sobriety, I can honestly say that the biggest obstacle I faced was fear. Fortunately many of the fears I had turned out to be the boogeyman, and the ones that turned out to be real, helped me to grow and become a stronger person. So while not everyday may bring us happiness, we cannot fail to be happy by facing our fears, knowing that we will find greater strength in doing so. Although I’ve made progress in not being the “funny guy” all the time, I never want to completely stop being one. It’s helped me to see the humor in many circumstances that used to upset me, and I believe that laughter can actually be a healing experience. Today I realize how important it is to be able to laugh when things go wrong and also to be able to laugh at ourselves. Being able to do that is a sign of growth. It shows we can be happy with who we are, even when we do something goofy. And it’s a great asset to have in sobriety. 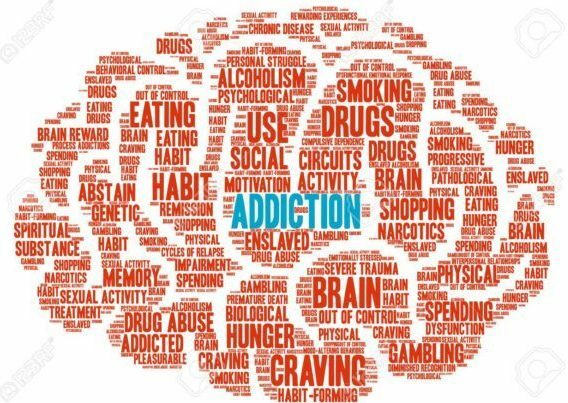 Although statistics show that less than half of those who remain sober for a year relapse, and less than 15 percent relapse after five years of sobriety, you should still realize that it is a possibility, especially if one is prone to having relapses of the emotional kind. This is when our thoughts and behaviors become similar to the negative ones we had when using a substance and we find it hard to reverse them. Personally, I don’t worry about drinking again when I have an emotional relapse—my behaviors aren’t nearly as bad as they were back then, and I’m able to change my thoughts to more positive ones. And although I do have a healthy fear that under the right circumstances, I could find myself thinking about getting drunk, it would take a lot for me to do so. Along with some huge resentment, tragic circumstance, or complete nervous breakdown, I’d have to entertain the thought of drinking for a long time first, and then decide to drive to a bar, go inside, order my first beer, and then actually pick it up and drink it. I’m not trying to be arrogant here. I’m fully aware that some drugs are more addicting than others; heroin and prescription painkillers come to mind, as do the unfortunate deaths that can occur from abusing them. However, I don’t believe that relapse is a part of recovery but a part of addiction. It’s a part with the power to kill, which is why I believe it’s important for people to hear that not only is recovery possible, but so is finding greater happiness in life. Today, I know that drinking wouldn’t make one thing better in my life or replace what I’ve found in my sobriety. I also know that even after all these years sober, it still doesn’t make sense to me to have only a few beers, so I’m sure I’d get shitfaced right from the start. I like this song; it fits in with my message of overcoming our fears and insecurities. I discovered the song through a Facebook friend I went to school with who commented that they love the unknown. Apparently like me, they’ve learned how to face their fears and grow stronger from the experience. I honestly can’t say I love the unknown yet, but I can say I’m not as fearful of it today.